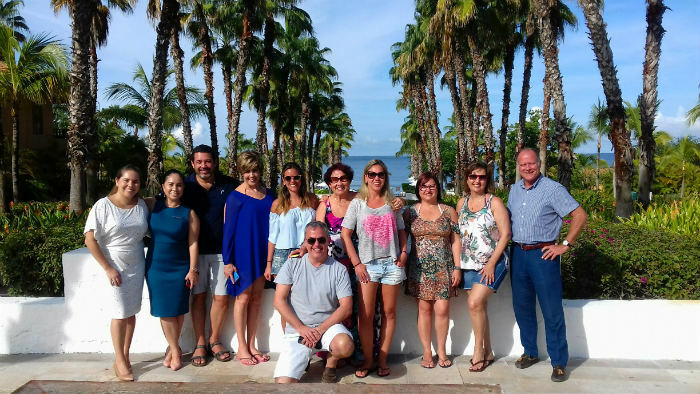 The wedding experts were brought together by wholesaler and luxury specialist Orinter Tour & Travel so they could get to know the area and use their visit to boost sales with their clients. Magical, natural, relaxed, surprising and unforgettable… As a destination, the Riviera Nayarit is undoubtedly the best place on the planet to enjoy your romance and celebrate as a couple. Here the visitor will find exactly what they need for their dream wedding. Six Brazilian wedding planners visited Mexico’s Pacific Treasure in search of this magic. 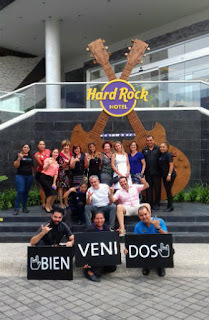 They visited from August 17-21, brought here by wholesaler Orinter Tour & Travel—one of the top tourism companies in Brazil, dedicated mainly to luxury tourism—via Enzo Avezum, the Puerto Vallarta-Riviera Nayarit representative in Brazil. American Airlines sponsored the tickets onboard flights from Sao Paulo-Dallas-Puerto Vallarta. 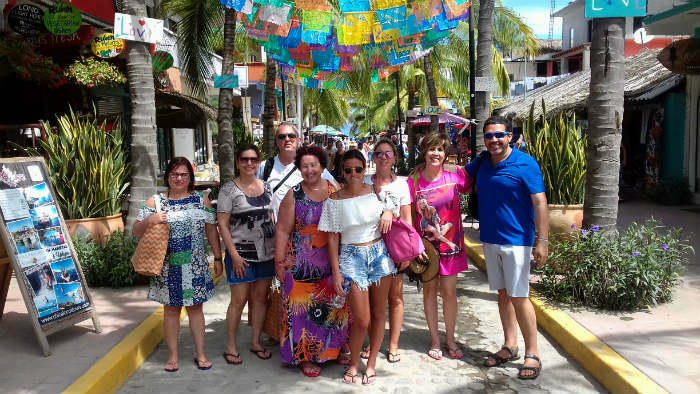 This fam trip is part of the joint promotional activities in new emerging markets by the Riviera Nayarit Convention and Visitors Bureau and the Puerto Vallarta Tourism Trust. The launch of Orinter Tour & Travel’s new catalogue was also announced, which included both destinations as part of the actions taken by the wholesaler in this South American country to position Puerto Vallarta-Riviera Nayarit, as well as their promotional brochure, which was distributed among the company’s contacts and in three important events that took place in the cities of Sao Paulo, Campinhas and Ribeirao Preto. “South America represents a very important market for the Riviera Nayarit, which is why we think it’s a good move to promote the destination more strongly within Brazil and attract more tourism from that country,” commented Marc Murphy, Managing Director for the Riviera Nayarit CVB. The wedding planners experienced different products within the region that will form part of their sales toolkit with future clients. After their stay in Puerto Vallarta was over they transferred to the Riviera Nayarit, where they were welcome by Carlos Eguiarte from the CVB’s Promotions and Sales area. He organized a complete itinerary that included site inspections of the destination’s luxury hotels, a tour through Sayulita Pueblo Mágico and a visit to the beautiful Islas Marietas National Park. During their stay, the visitors were pleasantly surprised at the diversity of the beaches offered by Mexico’s Pacific Treasure, the exquisite gastronomy, and the hotel infrastructure, but above all they were captivated by the breathtaking scenery—all of which makes getting married here a luxury that would exceed the expectations of Brazilian couples. The visitors included María Elisa Toscani, from the agency Expoente in Porto Alegre; Amanda Zakia Megda, from AZM Turismo in Campinhas; Renata Nassar, from Gama Tour in Sao Paulo; and Ide Vitoria Antonello from the agency Travel Mix in Santa María. Also present were Neila ou Leidy, from Neila Tour in Porto Alegre; Monica Dias, from Porto Sul in Porto Alegre; Jorge Souza from Sao Paulo’s Orinter Tour & Travel and Enzo Avezum, from I Tour, also in Sao Paulo. Brazil represents a very important market for the Riviera Nayarit. Of South America’s Emerging Markets they are the third destination of origin for tourists at 2.1% equal to Argentina but behind Chile’s 2.9% and Colombia’s 6.4%, which are the markets that have best responded to the promotional efforts in the continent’s southern cone.